Flights To Paris - 2019 Cheapest Paris (PAR) Flights From AU$894! A spur-of-the-moment trip to Paris has you saying “Oui, oui” faster than you can pop the cork off of a 1960 Bordeaux. Which is to say, tres fast. And we haven’t even mentioned the fresh baguettes yet. Hop on one of the cheapest lastminute.com.au Paris flights, and your budget for chocolate crepes and macarons will still be intact. Yummm…macarons. BRB, just popping out to the bakery. Flights to Paris land at Charles de Gaulle Airport (CDG), one of the largest airports in the world. Not that size matters. Ahem. You can travel the 35km to the centre of Paris by shuttle, train, bus or taxi. Once you’re settled into your room, get around Paris via metro, taxi or bike. Put down your bags at an accommodation in Paris and then put your GPS to work (though we have to admit, Paris is one of the best cities to get lost in). You never know when you might stumble upon a brick of brie so perfect it could (and will) make you cry. Get yourself together, though. You’re in public and you’re embarrassing yourself. When your plane lands at dusk, there’s only one place to be: In front of the Eiffel Tower as its twinkling lights turn on and light up the slate-coloured sky. Once you’ve taken your picture in front of the Arc de Triomphe and seen the Mona Lisa, get off the beaten path for a minute. Cheap flights to Paris leave you with plenty of cash to burn, after all. Go on a “Sewers of Paris Tour” (really) or visit the French Statue of Liberty along the Seine. Book Paris packages on lastminute.com.au today, and you’ll be face-deep in fine French cuisine before you know it. Slurp! Question : What is the cheapest flight to Paris? Answer : We offer plenty of flight options to Paris starting at AU$894. Lastminute.com.au understands that you're a curious cat, with some questions about your travel options. 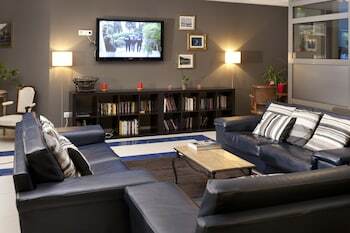 So we have some more helpful details about airport options, top hotels, and the most popular airlines flying to Paris. Check below to get excited about your trip! Question : What airlines fly to Paris the most? Answer : Each week we have flight options to Paris. Knowing which airlines offer the most flights per week can help you find the cheapest and most reliable airline options - who doesn't want that? Especially when you can score a cheap flight to Paris for just AU$894 right now! These are the airlines that have the most flights per week to Paris airports. Qantas has 7 flights per week between Sydney and Paris. Iberia Airlines has 187 flights per week between Barcelona and Paris. TAP Portugal has 133 flights per week between Lisbon and Paris. Question : What hotels should I stay at in Paris, and what are some great places to visit? 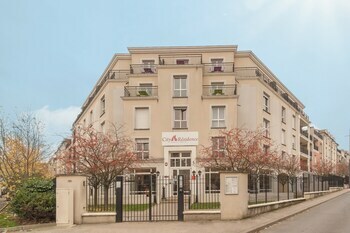 Citadines Apart'hotel Saint-Germain-des-Prés Paris is a 4.00 star hotel. Located in Quartier Latin, this residence is steps from Hotel de la Monnaie and Pont Neuf. Notre Dame Cathedral and Sainte Chapelle are also within 10 minutes. 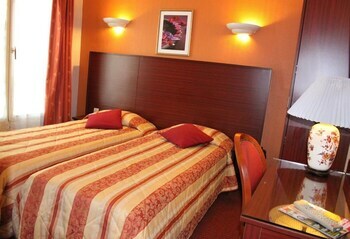 Mercure Paris Centre Tour Eiffel is a 4.00 star hotel. 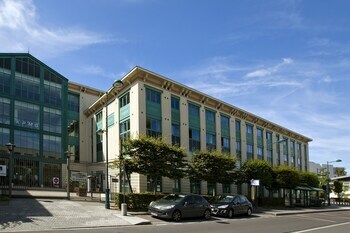 Mercure Paris Centre Tour Eiffel is less than a 5-minute walk from the Eiffel Tower and the Seine. The Louvre and Jardin du Luxembourg are both about 15 minutes by subway. 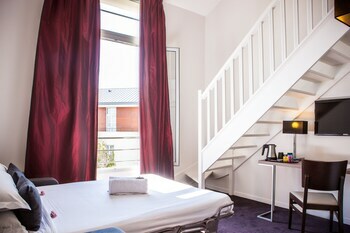 Citadines Les Halles Paris is a 4.00 star hotel. 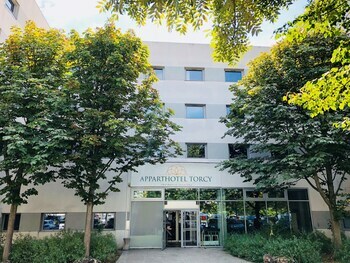 Located in Les Halles, this residence is within a 10-minute walk of Forum des Halles, Museum Georges Pompidou, and Sainte Chapelle. Notre Dame Cathedral and Pont Neuf are also within 15 minutes. Question : What are the most popular points of interest to visit in Paris? Answer : Paris has 275 mind-blowingly cool sights and attractions you need to see! Make sure to check out Disneyland® Paris and Eiffel Tower. If those aren't quite your cup of tea, check out some other top spots like Place de la Concorde and Arc de Triomphe. Look out for our deals on rental cars below to make the most of your trip and visit as many of Paris’s sights as possible! 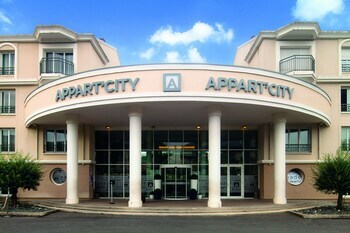 Question : What are the top deals on car rentals in Paris?